I will not tread lightly into this season of my life. The middle season. Between the sunrise and the sunset. The peak season, nestled amongst the dark and the light. I will be steadfast, enveloped by a consciousness of intention. Bold and brave. Soft and heartfelt, as I remember all that carried me into this season. Some of the most precious moments of my life happened in my sunrise season – that of marrying my soulmate and life partner, and of course the birth of our two children. The sunrise season of sacrifice and hard work. Of dreams and uncertainty. There are countless moments that engulf me. Memories of snuggle time under a blanket while reading a book aloud. Disney movies that I actually looked forward to viewing from our children’s perspective through wonder filled eyes and innocent hearts. Cookies made from dough filled hands, as chocolate morsels dance across the countertop begging to be snatched up. And all the usual, expected (extra)ordinary moments like birthday parties, dances, roasting marshmallows by the fire, family night and graduations. They were all such wondrous times, much too glorious to encapsulate. Gold coins overflowing in life’s fountain. Abundant and glimmering. Invaluable. Today, I feel riper than I ever have before. Not yet ready to be picked from life’s branches. Nor wanting to fall to the ground to be swept into the wind. Instead, I will stand firm with the wind at my back and the sun upon my face. I’ll gaze upward to feel the warmth and love of family and friends as it ignites my spirit. So I pause and count my blessings. Grateful for all that I have. And pray that my husband, Sam, and I will dance into our sunset season together of mostly sound mind and body. I stand in awe of this beautiful season. The peak season of so much potential. When our lives are no longer dictated by our children’s busy schedules. Of drop offs and drop ins. I remember the early years when on somedays I felt a sense of accomplishment simply because I showered and prepared dinner. When five minutes to myself felt like a lifetime. And a good nights sleep really was a dream. And it goes without saying, what no parent should have to experience, no matter the season – the loss of a child, our son. Grafted through my every bone, jointed together with my soul. What didn’t make sense, yet somehow I now understand. The universe beckons and I am still. Comforted by everlasting love. I see the sunrise, though. Now in the eyes of our young adult daughter as she makes her way in the world. For her I wish that the crumbs of life’s lessons always lead her in the right direction. I can already see that we’ve instilled in her enough instinct to follow her own path. To be true to herself. To challenge her internal and external self. To learn from her mistakes. And most importantly, to know beyond anything else, she is loved and accepted unconditionally. And I know the sunrise will one day shine even brighter in the eyes of a grandchild, as I watch my daughter’s reflection shine back at me with every glance. 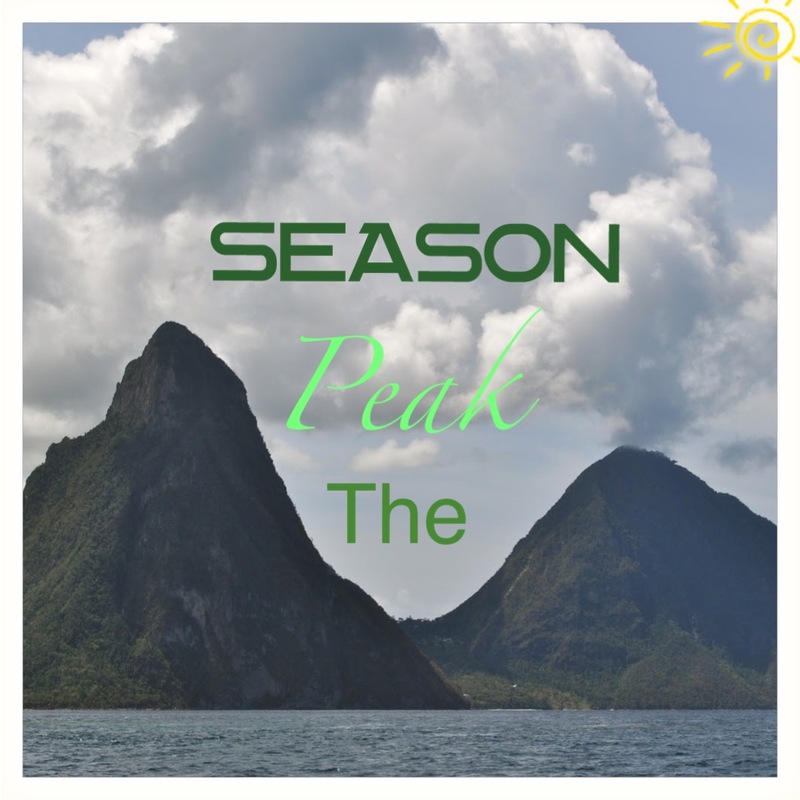 The peak season…as I stand between cherished memories and new hopes and dreams. Realizing a renewed vitality and wisdom that it brings. I will enjoy this season, this cycle of life, relaxed and unencumbered by the noise. Hopefully we’ve been good students in life’s classroom. We’ve all faced the pop quizzes and the tests we weren’t prepared for. We’ve worked on overcoming our fears and learning from our mistakes. Our stories and lessons continue to be passed down to the next generation. And back out we go, to soak up more of what life has to teach us. Our virtual cycle of life revolves around us in real time. Constantly swirling and changing the winds that direct us. Vibrating in the airways like a silent transmitter of change. I embrace this season, open-mindedly, for all that it offers. I look forward to many more memories that await me at the very peak of my life. If we’re lucky enough, many many years from now, as we take the “cross country course of life,” if the universe abides with us. While stopping to explore along the way – I’ll run slowly and exhaustively to the finish line, hand in hand with my sweetheart, out of breath for having run the full course. Until lastly, the closing of the curtain…the final sunset. As we watch the calm restorative sun sink into the earth. Forgiving of the day. Leaving us peaceful until the darkness. Or is it the light? This entry was posted in The empty nest, Women and tagged brave, change, children, courage, Empty nest, gratitude, Inspiration, intention, learning, loss, Love, memories, midlife, seasons, sunrise, sunset, wisdom. Bookmark the permalink. My anniversary reblog for this week – one of my stories that has been “hiding in the basement.” I hope you enjoy it! Karen, I could read your ‘life’ stories forever and always. You capture a crumb, kneading it into a loaf of bread. How very gifted you are. I thank God for allowing us to ‘find’ each other. Beautiful post. This was such a great way to describe the beginning and exciting years of marriage, parenthood and teaching, learning that went on during the “sunrise period” of our lives, Karen! What I like so much about this post is the celebration of where you are in life – instead of looking over your shoulder at all that was, you are looking forward with a grateful heart while savoring where you are right now. That’s a very special quality. This was stunningly beautiful. How great a life! To run breathlessly to the end, and in hand, or in to the hands of others waiting!!! My heart beat faster just reading this. 😀 Indeed it is Karen! And you are very welcome!